By Kathleen Flanagan, University of Tasmania; Chris Martin, UNSW Sydney; Julie Lawson, RMIT University, and Keith Jacobs, University of Tasmania. This article is republished from The Conversation under a Creative Commons license. Read the original article. We know that safe, adequate, affordable and appropriate housing is essential for our health, well-being and social and economic security. However, even as house prices subside from recent record highs, many Australians struggle to obtain the housing they need to be as healthy, well and secure as they could be. An unacceptable number of Australians have no home at all. How Australian governments meet such housing challenges has changed over time. Decades ago, direct investment in publicly owned housing was the core of their response. In the 1950s, state housing authorities built more than 100,000 dwellings — one in eight of all new homes at the time. Over time, however, social housing has been recast as a welfare service. Political support has dwindled. Social housing is starved of funds, stigmatised and residualised. Could changing how we think about social housing serve as a starting point for a renaissance? 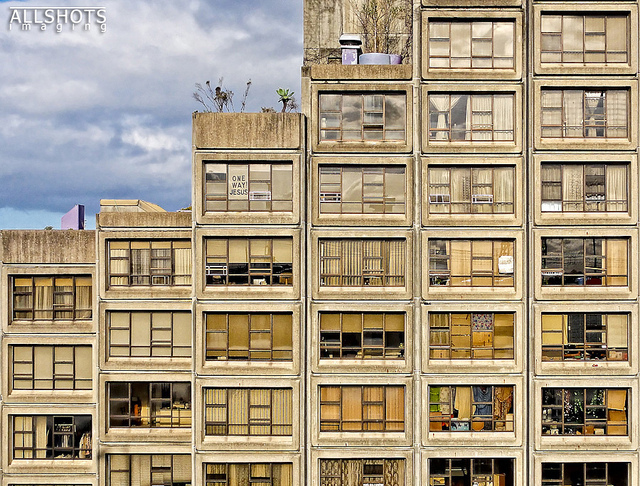 Policy advocates like the Australian Council of Social Service (ACOSS) argue that social housing is actually a form of essential infrastructure. This is because it supports economic productivity and a range of other non-shelter outcomes. Our research has examined whether changing how we think about social housing to see it as infrastructure might provide a pathway to increased investment. What’s the evidence for this approach? Conceptually, we found a link between social housing and infrastructure: both operate as forms of spatially fixed, durable capital that enable economies and societies to work better. Governments need to be involved in providing infrastructure to realise its full benefits — because of the scale of investment needed and because effects are spread across the community. In the same way, realising all the benefits of social housing requires government involvement. When we look at history, there is compelling evidence for this. For example, during Australia’s post-war public housing construction boom, governments recognised their investment as necessary to enhance economic productivity, improve public health, and support families to thrive. Across [Europe], especially in Finland, Austria and Scotland, we see social housing investment today undertaken in support of energy sustainability, economic stability, and social cohesion. However, if social housing is to be considered as infrastructure, then proponents need to be more conversant with the practices and policies that sustain infrastructure investment. This includes developing credible, costed arguments to demonstrate the benefits of social housing relative to its cost. This isn’t easy — much that is relevant to the purpose of social housing and the people who live in it cannot be quantified or monetised. An even more fundamental challenge arises from prevailing ideas about how infrastructure should be financed and funded. In infrastructure-speak, “financing” is the provision of money to build and maintain an infrastructure asset, and “funding” is the means of paying the costs of finance. Even as governments pay more attention to infrastructure policy, the prevailing view is that it should be privately financed by institutional investors like banks or super funds. The role of governments, according to this view, should be limited to funding investments where user charges won’t deliver enough return to the investor. This prevailing view comes from a deep-seated belief within Australian governments and the wider community that governments are always fiscally constrained and that the mark of a “good” government is a budget surplus. These are not just surface beliefs — the norms and practices associated with them are embedded in the way bureaucracies and governments prepare and manage their budgets. When there is not enough government money to go around, even with a rigorous, costed business case establishing beyond doubt the value of investment in social housing, it might not be recognised as high enough priority for any meaningful level of funding to result. To change this belief, we need to do more than make a case for social housing as infrastructure. We need to make the case for social housing. To make the case, we must confront the politics of housing. The prevailing narratives have benefited powerful interest groups and produced mounting debt and inequality. But we can draw on the historical precedents of policies that created public wealth through public investment in rental housing and expanded opportunities for ownership. We need to make the case for government to take a stronger, more direct role in infrastructure investment by embracing its role as a patient investor and a deliberate co-creator and shaper of markets for specified public purposes. Direct public investment is also the cheapest, most effective way to generate affordable housing supply that meets community needs and delivers vital economic and social benefits. Engaging with this vision, and what it implies about the role of government in Australia today, offers us the chance to think differently enough about social housing to make not properly investing in it unthinkable. AHURI is presenting the inaugural Discussion Series event, “Is social housing infrastructure?”, at the State Library Victoria, Melbourne, on Monday, February 11 2019. A second event examining the same research topic will be held in Brisbane in March. More details are available here.